No one was ever arrested for any of the murders associated with the robbery. A fortnight before Christmas 1978 the then largest cash robbery on American soil happened, when around $5 million in money and $875,000 in jewels were stolen at JFK Airport. Once a month millions of dollars used by tourists and service personnel in West Germany were flown into the States by Lufthansa and stored in a vault at Kennedy Airport. Louis Werner worked at the airport and was also an inveterate gambler who was in debt to bookie, Martin Krugman, to the tune of $20,000. Werner and his friend, Peter Gruenwald, had already been responsible for the theft of $22,000 in foreign currency from Lufthansa in 1976. Werner told Krugman about the money and he, in turn, told gangster Henry Hill who informed Jimmy Burke, an associate of the Lucchese crime family. Burke hired Tommy DeSimone, Joe Manri, Louis Cafora and Angelo Sepe and Sepe’s ex-brother-in-law, Tony Rodriguez plus Paolo LiCastri, a member of the Gambino crime family. Parnell “Stacks” Edwards, a black wannabe gangster, was hired to get rid of the van they would use in the heist. Just after 3am on 11 December, security guard, Kelly Whalen, was attacked as he went to investigate a black Ford Econoline van parked near a loading bay. The robbers took Whalen’s wallet and threatened to harm his family. Then the robbers went to the canteen where they held the rest of the employees at gunpoint while guard, Rudi Eirich, was made to open the vault. The gang of thieves took 40 bundles of loot in an operation that took 64 minutes to complete. Instead of taking the van to a breaker’s yard to be destroyed, Parnell Edwards, 31, decided to smoke a marijuana joint and left the van in a ditch before going home to get drunk and have something to eat. The van — complete with Edwards’s fingerprints — was found within a week. To cover their tracks, DeSimone and Angelo Sepe shot Edwards dead in his home on 18 December 1978. His was the first death of those involved in the robbery. On 6 January 1979 Martin Krugman, 59, was killed. Eight days later, Tommy DeSimone, 28, was murdered. His girlfriend, Theresa Ferrara, 26, was murdered on 10 February and her body dismembered. The following month Louis Cafora and his wife, Joanna, were killed. On 16 May Joe Marini was discovered dead with a bullet to the back of his head. Paolo LiCastri, 44, was killed on 13 June and on 18 July 1984 Angelo Sepe, 43, and his girlfriend Joanna Lombardo, 19, were murdered in his basement apartment at 8861 on 20th Avenue in New Utrecht, Brooklyn. 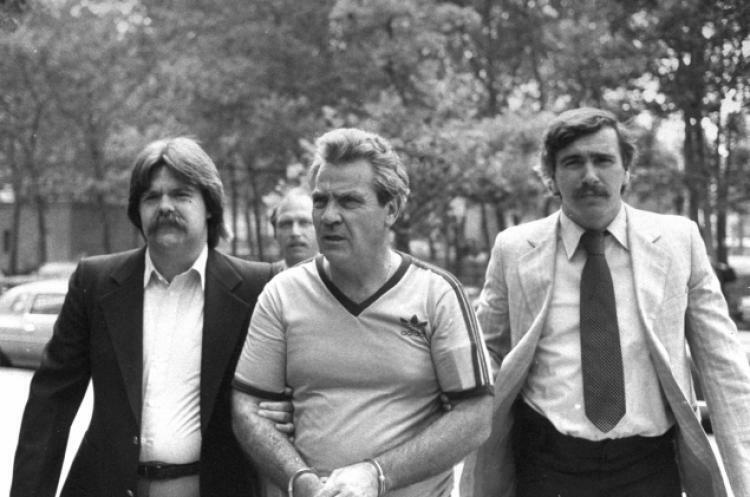 Louis Werner was the only person ever prosecuted for the Lufthansa heist. No one was ever arrested for any of the murders associated with it. The authorities only ever recovered $20,000. Henry Hill, Peter Gruenwald, Bill Fischetti and Frank Menna all entered the Witness Protection Programme. A semi-fictionalized account of the robbery is featured in the Martin Scorsese film Goodfellas.